At Companion Pet Clinic we provide short-term and long-term boarding for cats and dogs at our Beaverton location. 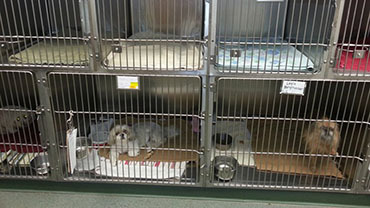 All pets must be up-to-date with all their vaccines in order to board with us. We require proof of all vaccinations or if your pet needs to update their vaccines, in order to board with us, we are happy to provide that for you. The health and safety of pets is our priority. Knowing the dietary needs, exercise restrictions or required medications for your pet will helps us provide a better stay for your pets. In addition to vaccinations, all dogs and cats should be flea and tick free. Boarding pets with signs of fleas and/or ticks will be treated for fleas at the owner's expense. 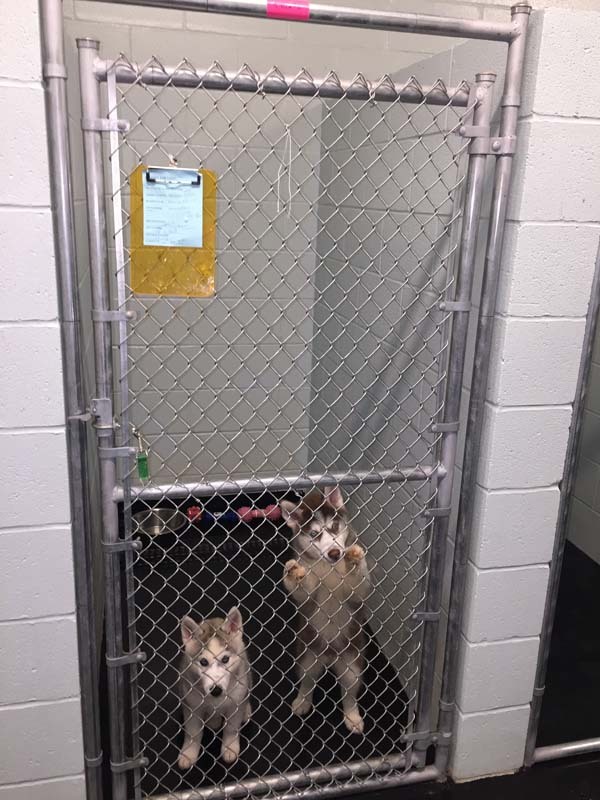 This policy is in place to keep the pets safe from infestation and to ensure that we do not have an outbreak. Please specify if your pet has an allergy to a particular type of flea medication at check-in. Boarding fees range by weight and are charged per night. There is also a day fee if you for picking-up your pet after 12:00 PM. On Sunday's when our office is closed we DO have a kennel helper come in to care for the boarding and hospitalized patients, but unfortunately we cannot discharge your pet on Sundays. Please make arrangements to pick-up your pet on Monday. We provide bedding and our in-house bland Purina EN kibble to boarding pets. We encourage owners to bring their pet's own food so that we don't change their diet, but please label food with your pet's name and your last name. We do not allow you to bring toys or bedding and we ask that you don't leave your leash with us. The receptionist or a technician will switch out your leash for one of our own when you drop off your pet. 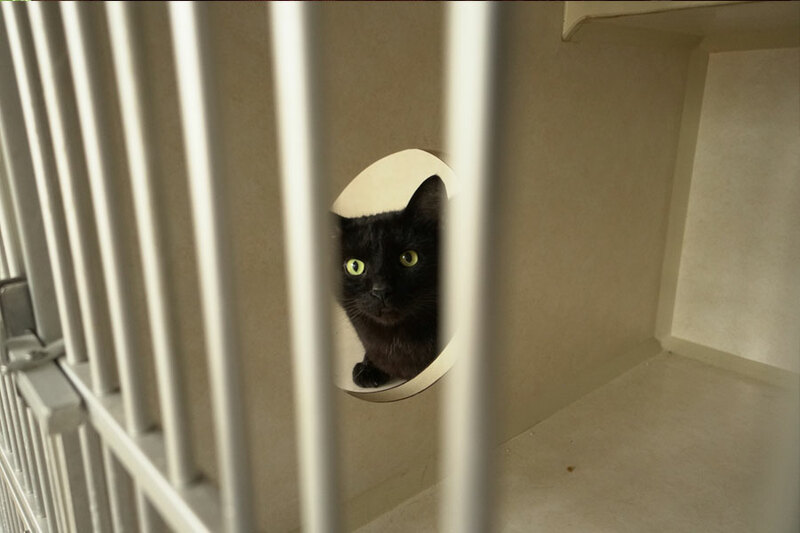 Each pet is boarded in their own kennel or run unless the owner requests for their pets to board together. They get fed twice a day and are walked in the back grassy lot behind the building 2-3 times a day. Lots of attention is given to each boarder that comes to stay with us. Having a veterinarian around gives our clients that extra sense of security to owners leaving their beloved pets to board here. If your pet is on medication that needs to be given while boarding with us, there is an additional fee of $7.95 per day. Or if your pet is boarding and requires insulin injection/medication, there is an additional fee of $13.95 per day.